Prepping for Fried Green Tomatoes - Canning Homemade! If you have ever had fried green tomatoes they are amazing with the perfect coating and done in a pan to a golden brown. The green tomatoes are not a special variety but red tomatoes that are picked early since many states on the east come into frost season before the tomatoes can turn completely red and ripen on the vine. To fry green tomatoes some will use bread crumbs, cracker crumbs, cornmeal, or flour. Some people dip them in beaten eggs before dredging, while some just dredge then fry. Salt and pepper them first, and use a little bacon grease for flavor if you have it. Bren who is a fantastic follower on my Facebook page and helps answer so many questions put up some incredible slices of green tomatoes ready for the pantry for future frying. I was very excited to see these jars because it was a brilliant way to preserve them in their natural state. Thank you Bren for all your comments and for the use of this great recipe to showcase on my site. From Bren: usually 2 green tomatoes fit well in pints...3 usually fit in quarts. Core the top and cut off the bottom tip of the green tomatoes and compost them. Slice the green tomatoes into 1/4" slices. In a stainless steel pot heat 4 quarts of water which you may not need all of it but better to over estimate with this recipe. 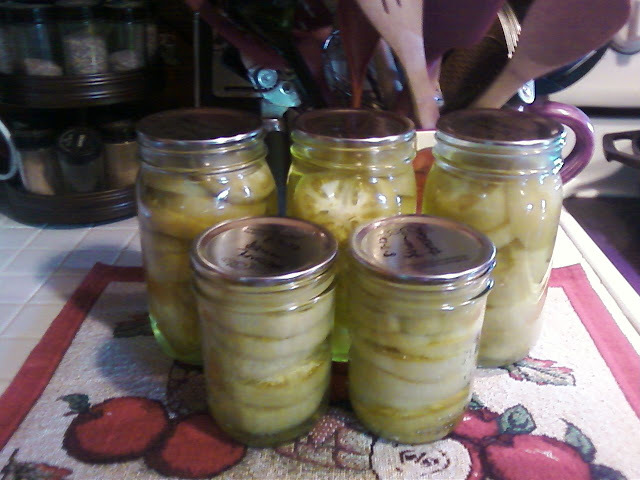 To each jar add the slices stacking them the best you can on top of each other. When you have slices to about 1 inch headspace add 1 T. of bottled lemon juice to each jar and 2 T. to each quart. You can now add a pinch of kosher salt if you would like for flavor. 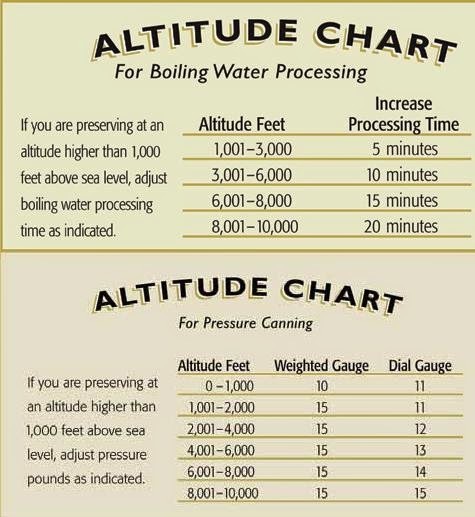 Add your boiling water filling to 1/2 inch headspace. Using a chopstick or plastic spatula remove air bubbles and refill with boil water if necessary to proper headspace. Wipe rims and add hot lids/ring and tighten "finger tight". Place jars in water bath with hot water and bring up the heat to a boil and start timing for 35 minutes for pints and 45 for quarts.